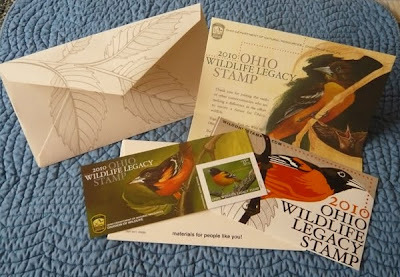 From home base in Oak Harbor, Ohio, Kim writes: After months of planning; after hundreds of hours of careful thought and consideration; after consulting with their wildlife diversity partners and carefully listening to our input; the Ohio Division of Wildlife (ODOW) proudly unveils the Ohio Wildlife Legacy Stamp! I'll let the ODOW give you the nuts and bolts of the stamp and all the great things the funds it generates will do. It's all on their website HERE. ODOW has done a remarkable job with this thing and the information on the website is incredibly thorough without being boring. Someone obviously put a great deal of time and thought into every detail of the stamp, from the design of the printed materials to the fabulous information on the website. Someone clearly cares about this stamp being a success and making a difference. ---That someone is Laura Jones. With the support of many great people at the ODOW, Laura and her team have done an extraordinary job; when you purchase the stamp you'll see what I mean. The attention to detail is apparent before you even get to the stamp itself. 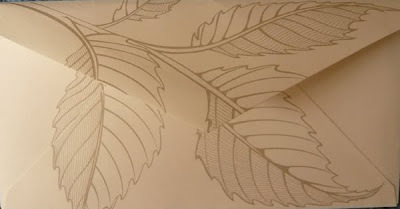 I mean, for goodness sakes, even the envelope is beautiful! Open it up, and the goodies just keep coming. Can you believe that you can get all this for just $15 and that $14 of that supports Ohio wildlife conservation?! You know what? My feelings won't be hurt if you just want to leave this blog and go get one (or several!) of these things right now! Go ahead, GO GET ONE (or several) HERE! Or, you can come to Ohio, attend an absolutely brilliant conference (this thing attracts more than 900 people each year!--yes, I said 900! ), order your stamp in advance at a special reduced price, and pick it up with your name tag at the conference! Ohio Wildlife Diversity Conference details HERE. 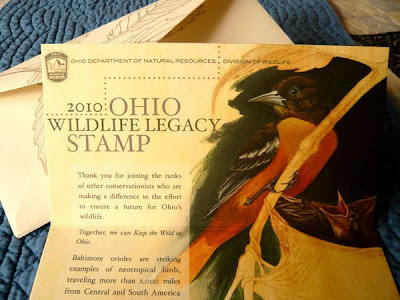 The 2010 Ohio Wildlife Legacy Stamp! You also get this fun window cling. What a deal for $15! ODOW has really gone all out to prove their commitment to wildlife diversity. Each year they host a Wildlife Diversity Partners Conference to touch base with their partners across Ohio and encourage anyone involved with wildlife education, research, and conservation to work together for the greater good. The ODOW is so committed to making sure they "get it right" on every level, that they not only brought their diversity partners in to help make decisions at the very start of the Legacy Stamp idea, they actually gave us the honor of selecting the winner of the first photography contest! ---You might just say that Ohio's Division of Wildlife ROCKS! 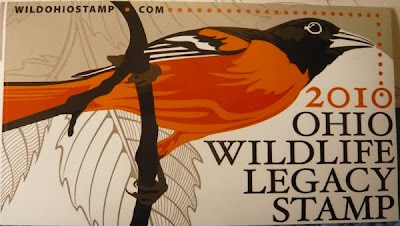 Every birder should buy this stamp. It's a tiny investment that supports some of the world-class birding areas here in Ohio that ODOW maintains and makes accessible to birders and all wildlife enthusiasts; places like Magee Marsh, for example. If you don't live in Ohio, you should still buy a stamp! It'll give you an excuse to come to Ohio and go birding with us and reap the benefits of the great things your contribution will help support. This is great. I'm really happy to see state wildlife agencies taking advantage of the successful duck stamp model! And as an additional bonus, we'll be able to effectively quantify the effect of birders on conservation in a way that was difficult when we were lumped with hunters buying duck stamps. You're so right, Nate. We market the Federal Duck stamp heavily to birders and we keep track of the total number we sell. 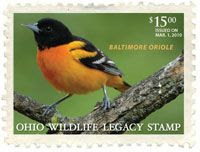 We'll do the same with the Ohio Wildlife Legacy Stamp. Absolutely wonderful...wouldn't it e great if one could collect a stamp for each state in the nation? You should try to be a little more excited about this! HAHA... I will definately buy one from down here in SC. 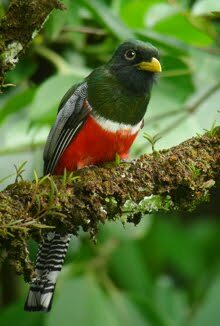 Thanks alot for making me want to go to Ecuador! I hope Adam makes alot of money and takes me. Did you get my fax? I did get your fax and I swear I'm not ignoring you! I really want to talk about your idea and I also hoped to get a photo from you from Space Coast if you have it. Tell Adam I said Hello! Me and the Doodles will be in to buy two! Make sure you save a couple for us. Anything for you and the Doodles, Dave! How cool--really interested to see how this turns out. I'm definitely going to let out Fish & Wildlife folks in Delaware (the state) know about this program. Ohio is really getting to be a hotbed of innovation in birding culture. Very impressive. Fantastic idea. I wish GA had something like this. Every week when I can, I faithfully review our birding websites--and my! how they have proliferated!--and I must congratulate you both on yours. Warbler Capital of the World! Indeed! I suspect Kenn's fine hand there: it's a wonder he didn't add a pun or two!! Kim, You missed your calling! You should sell cars! Seriously, I immediately ordered mine. I have to say it is the first time I have ever had to give my weight to donate for wildlife! Yes, they ask your weight and eye color, etc. The stamp is a great idea. I hope it takes off. Hey, thanks for all the positive comments, everyone! We're pretty excited about all the great things this stamp can do, including inspiring other states to follow suit! It's an easy way for birders to give back to the resources we all enjoy and to quantify our contributions as well. This stamp, and others like it, could give birders a collective voice if we buy enough of them! 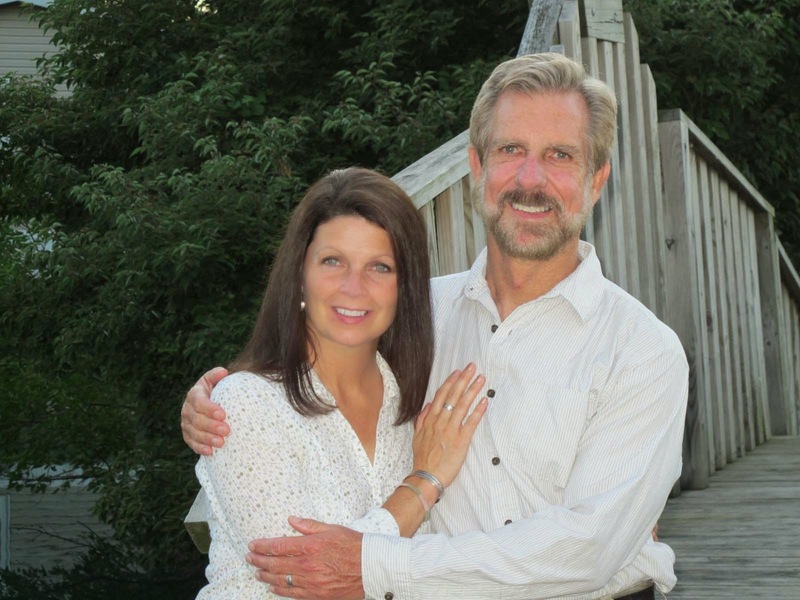 Ohio is a great place for someone who's passionate about birds and bird conservation to live. I'm very proud that our Division of Wildlife totally "gets it" when it comes to wildlife diversity. To quote one of birding's superstars, Jeff Gordon, "Ohio is really getting to be a hotbed of innovation in birding culture."